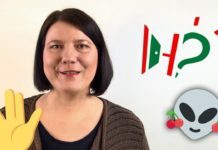 How to ask something in Hungarian | How to learn Hungarian? Turists usually ask questions, but how to do that in Hungarian? In fact, it is really easy. 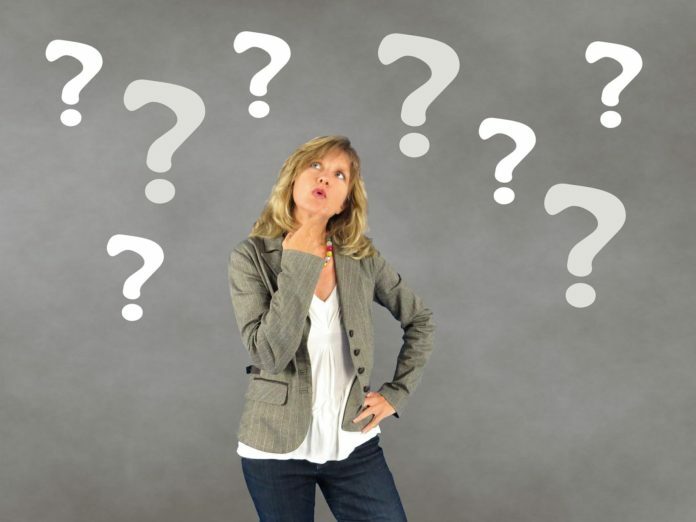 Forming questions is all about a question word, the usual sentence structure, and a rising tone at the end of the sentence. But what are these question words? They are the Hungarian equivalent of the wh-words: who, what, where, when, which, etc. 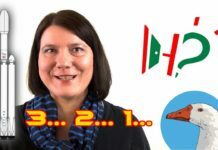 By learning these basic Hungarian interrogatives, you will be able to express your questions easily, in an effective manner. 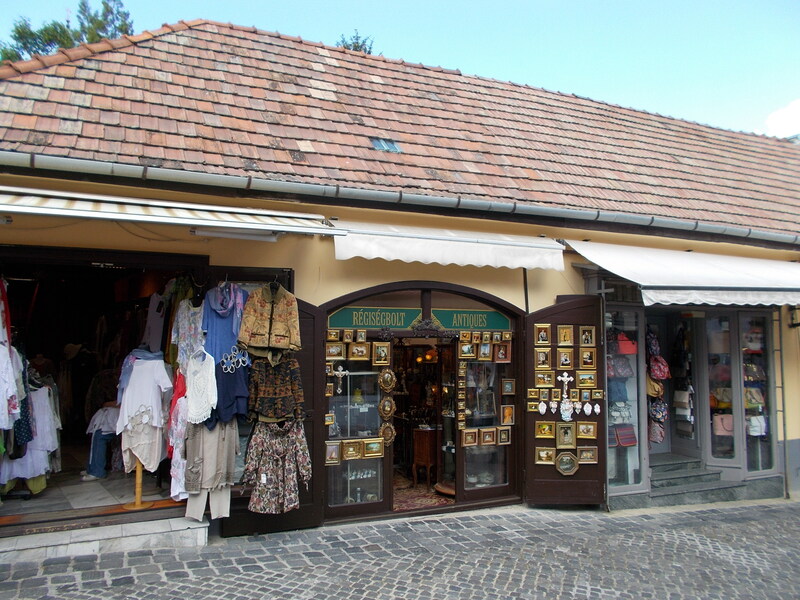 For example, if you’re at the souvenir-shop, and you’re interested in buying a painting, you can ask the vendor “Mennyibe kerül ez a festmény?” (How much does this painting cost? ), you can simplify the question to “Mennyibe kerül?” (How much does it cost? ), or you could just point at the painting and ask “Mennyi?” (How much?”) Easy and effective. The vendor will know what you are asking, and will tell you a price. Let’s learn a couple of these question words. Remember to always raise your tone at the end of your question, and always put a question mark in writing. Ki jön ma velem vásárolni? Who comes shopping with me? When should we have lunch? 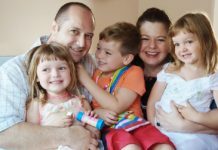 Hol van a legjobb vendéglő a városban? Where is the best restaurant in town? How do you prepare the goulash-soup? Until when do we stay here? With whom will we meet tomorrow? Mennyibe kerül ez a festmény? How much does this painting cost? 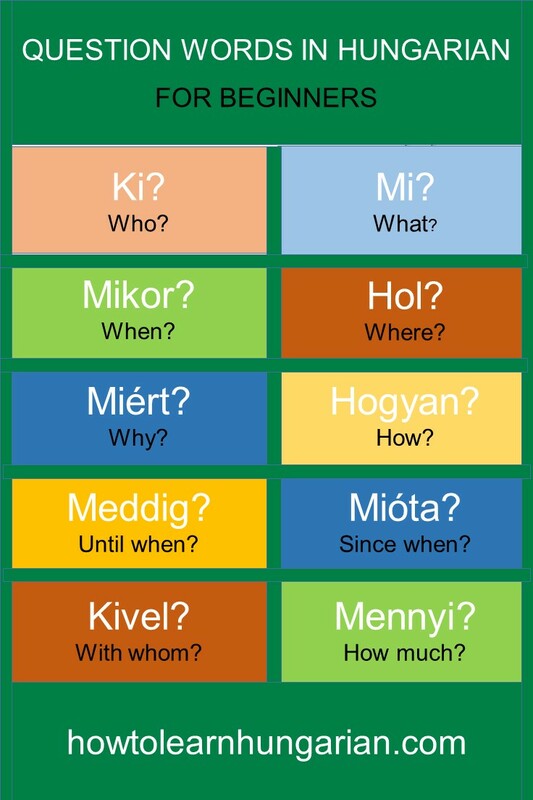 Finally, take a look at this infographics with all these Hungarian question words you’ve learned! If you think this article was useful, please, like it, and share it so other people could learn from it, too! Thank you. © Copyright 2014 - How to learn Hungarian?